In the past when I have ordered a mattress it has came just wrapped in plastic. I was pleasantly surprised to see that the mattress and frame arrived in their own separate box, sealed and then wrapped in plastic. They done an excellent job shipping such a large piece. I was very happy with the packaging so my first impression of the company was excellent. Plus, the large empty boxes have been excellent entertainment for our cats! My son’s old mattress was very firm… too firm and hard for him to sleep on so we chose Naturepedic’s organic cotton quilted deluxe mattress and frame in a size full to review. I didn’t even realize that most mattresses are made from petrochemicals, synthetic materials and chemical additives, did you? We eat organic vegetables, wear organic clothes so why not sleep on an organic mattress? I want my son to get the least amount of chemical exposure as possible so sleeping on an organic mattress is a no-brainer. Plus, it makes for a healthier planet. Naturepedic offers the absolute best when it comes to the best organic mattress for kids, baby and Mom! Naturepedic offers high quality and comfortable support. I know you can’t feel the mattress. I know you want to! With the pictures I try to capture the luxurious quality. The quality of the mattress and frame are beyond wonderful. It has a luxurious finish too. We chose the two sided flippable mattress design. I normally try to flip our mattresses every so often and I like that I am able to do that with this mattress. This is a 5 star mattress. We love the quality, comfort and customer service. Highly, highly recommended! Naturepedic provides concerned parents with non-toxic and organic crib mattresses and baby bedding products. They specialize in the design and manufacturing of quality organic mattresses for infants, toddlers, children and adults that promote natural and organic materials, a non-toxic design, fire-safety, and overall health & safety. All Naturepedic mattresses are manufactured to provide long lasting heirloom quality workmanship. Improve your life and the lives of your children through a healthier sleep with Naturepedic. Thank you for posting this! 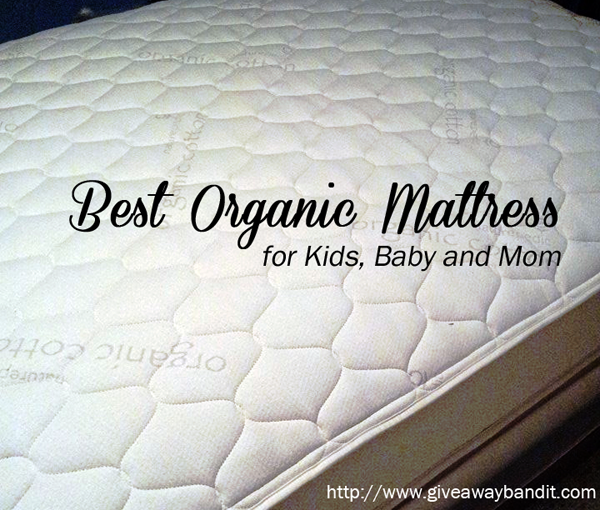 When we were researching my daughter’s bed we spent hours searching for an organic mattress. If we need to purchase another one, I will definitely look into the naturepedic. 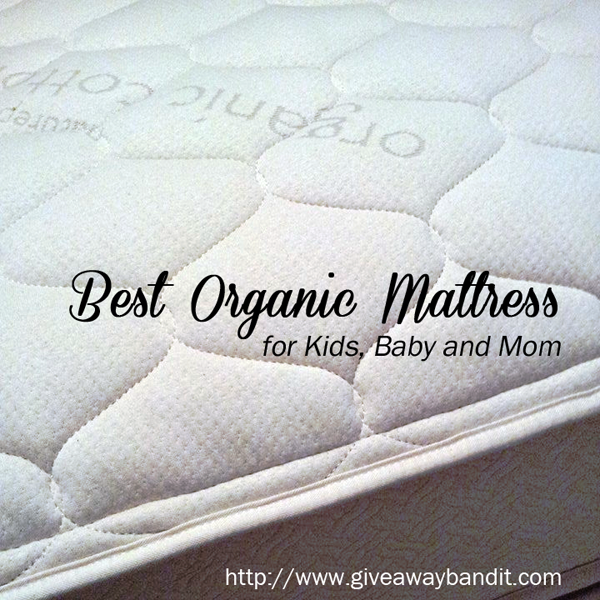 We are always asked which organic mattress is the best on our site so thanks so much for sharing this! We will be sure to share with our readers! Lots of good info! We will be needing a mattress soon… I need to check out Naturepedic! I didn’t know mattresses came in “organic”. It looks super comfy and I bet offers a ton of support. That’s awesome! My husband and I have terrible allergies. I wonder if an organic mattress would help. Thanks for sharing! This looks awesome!! I am in need of a new mattress and will totally check out their site. Thanks! I had no idea that there was such a thing as an Organic Mattress! I will make sure to check this company out when I look for a new mattress for my little one! Thanks for the info! Their mattress look amazing and I love that they are organic. We’re looking into buying mattress for our twins and they’re in the number one spot right now. Reading your review makes me more excited to check them out! I never even thought of a mattress needing to be organic. Who knew? Thanks for sharing. I learned a lot. I have never heard of an organic mattress myself! Thanks for informing me! Love learning new things! This sounds like it would be the perfect mattress for my girls. They need new ones. I didn’t realize there was such a thing as an organic mattress. It sure looks comfortable! Would love one for my daughter. I didn’t realize they even MADE organic mattresses. It’s just not something I would have ever thought about, to be honest. But WOW! I also didn’t realize that our regular old mattresses were full of chemicals. That makes me scared to sleep on them, even more – to let my little man sleep on them! Thank you for sharing this. I’m headed over to check out their line now! i havent heard of these mattresses before, but would like to learn more about them and see if they are for me. thanks for the review. Is it crazy that I had never heard of an organic mattress!? How cool!! I just learned about these recently. Wish I had known about them when my daughter was a baby. At least now I can tell my friends about them. This looks so nice! Our mattress is KILLING my back.. I like the idea of anything organic. I have a mattress that is overdue for a change… this would be great. I have never heard of these type of mattresses before, but would like to learn more about them . Thank you for the review. Well, with a 5 star rating….I’m in! I have never heard of these, so thank you so much! They look so comfy. It makes me want to lay on them in my pj’s all day! Thank you so much! I find it interesting that it is Amish constructed! My granddaughter could use a new mattress! Thanks for sharing this. We’re looking to get new mattresses and this was great information. Will definitely keep them in mind. Liked your comment in the review about the boxes being great toys for the cats! Kind of like kids with refrigerator boxes. I like that it is made of organic materials, Great buy and one to keep in mind. This is a very nice mattress that is organic and does not cause allergies. I like how well it is made, and I bet it is so comfortable for Baby and mom! My kids would never want to get out of bed! But yes I’d love if they had a good mattress for sleeping. I mean a better one. I need one of these!! In King size please lol. Inever thought about it being organic. Good point! I am getting ready to buy a new mattress for my daughter so I am glad I found this post! Lots of great information. I had never thought about/considered an organic mattress, but glad I have read this and will definitely look into it for the future! This is really nice! Thank you for your review. That mattress looks so soft! I know it certainly provides a great night’s sleep. I love that it is made out of organic cotton. Thanks for this great review! It seems like I’m always trying to find a more comfortable mattress than whatever one I have. I didn’t know organic was an option. It sure looks good and who wants to sleep with chemical anything if you don’t have to do so. Will be buying a new mattress in the near future. I will definitely keep this in mind. However you said great for baby kids and mom, what about dad lol. Did not know that mattresses could or should also be made out or organic materials, had not really thought about it. This is a good review, so thanks and will look at it for our next mattress(es)! It is I that needs a new mattress. I had no idea Naturepedic’s were organic. I have asthma, too. 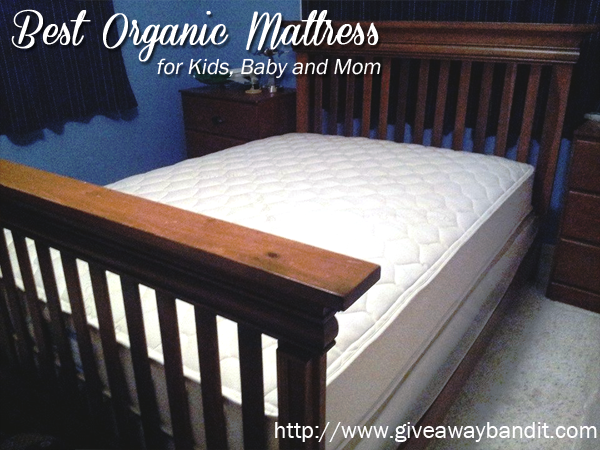 I have wanted to try an organic mattress for my kids for a long time. Especially after reading about all the toxins in regular mattresses. It’s nice to read a review that gives all sides, thank you for helping to make up my mind to get one!